Learn how analytic techniques are applied in the financial sector on this MSc, which is one of just a few courses of its kind in the UK. 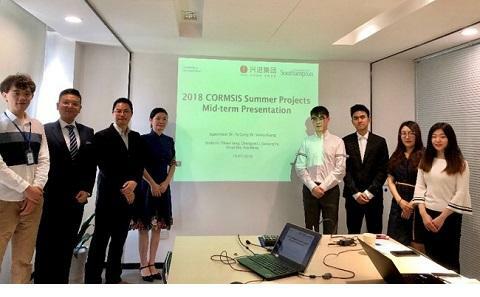 All CORMSIS MSc students have the opportunity to compete for a three-month summer placement with an external organisation. On this masters course you’ll learn about the latest analytical techniques with a focus on their use in a financial context, preparing you for a career in finance, banking and a range of other sectors. It covers key analytical techniques as well as providing a sound understanding of corporate finance, portfolio management and credit scoring – a combination offered on few masters courses elsewhere. You’ll have the opportunity to undertake a three-month business project, which will be the basis for your dissertation, enabling you to apply your knowledge to a real-world challenge and gain invaluable professional experience. You’ll also benefit from the expertise of one of the country’s strongest analytics research groups. This masters course offers a distinctive combination of analytics and finance modules that is found on few other UK courses. It will teach you how to use modelling techniques to inform sound decision-making – crucial in today’s turbulent global economy. Industry experts are regularly consulted about the content of the course through our Business Advisory Board, ensuring that your learning is up to date and that you graduate with skills that are attractive to employers. The MSc in Business Analytics and Finance is taught in conjunction with the Centre of Operational Research, Management Sciences and Information Systems (CORMSIS). CORMSIS brings together expertise from the Business School, Mathematics and other disciplines and is recognised as one of the leading groups of its type in the UK. The link with CORMSIS means the course is informed by a range of specialist research areas and it also expands your choice of modules. This degree will be of particular interest if you would like to enhance your analytical skills with a view to a career in finance, banking, data analytics and other sectors in which business analytics play a role. It is suitable for numerate students who have undertaken some form of quantitative study, or who have relevant professional experience. This is a full-time, one-year course. You’ll study compulsory modules as well as optional modules from the Business School or Mathematical Sciences. A special feature of the course is the opportunity to apply for a summer project in industry, which will form your dissertation. Credit Scoring and Data Mining, in which you’ll learn to create predictive analytics models using real-life credit scoring data and software. The Business School has one of the largest groups of researchers specialising in this area in the world. Software for Data Analysis and Modelling, which covers the fundamentals of SAS, an industry-standard analytical software package. This will help prepare you for SAS base programmer certification. You’ll also be able to choose from a range of optional modules. These will allow you to tailor the course to your interests, and include finance-related maths modules such as Revenue Management and Financial Portfolio Theory. You will have the opportunity to learn coding and programming on the Python option. 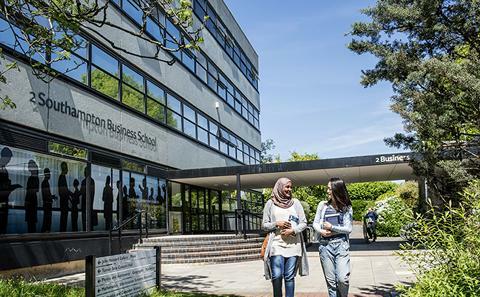 In the last three months of the course you will undertake a business-related project, either within the Business School or at one of our summer project partner organisations, which will form the basis of your dissertation. It provides an invaluable opportunity to put your knowledge into practice and enhance your professional skills. Working directly with an organisation for three months, you’ll apply your analytics and finance skills and knowledge to a real business challenge. You’ll present the findings to the organisation and write them up for your dissertation. During the first two semesters you’ll gain an insight into different sectors, roles and project types at weekly seminars, presented by professionals from our industry partners – some of whom are our alumni. Dr Tiejun Ma's main research falls into FinTech, Cyber and Resilience with risk analysis as the key focus. Programme leader Dr Cristián Bravo conducts research into the development and application of predictive, descriptive and prescriptive data analytics models to the problem of credit risk in micro, small and medium enterprises. He teaches the Credit Scoring and Data Mining module. Dr Tapas Mishra is an active econometrics researcher and has worked for leading national and international organisations and think-tanks including the United Nations, the Institute for Future Studies in Sweden and the Institute of Economic Growth in New Delhi, India. An opportunity to study analytics and its applications in finance, with a mix of modules offered on few other UK masters courses. Our students have undertaken summer projects with a range of organisations including Rolls-Royce, IBM, J.P. Morgan and Lloyd’s Register. Learn to use industry-standard software such as Simul8 and the statistics package SAS; the course will help prepare you for SAS base programmer certification. Lecturers include academics at the leading edge of analytics research. 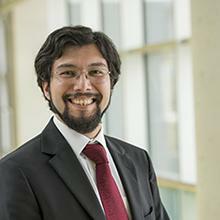 Dr Cristián Bravo is Associate Professor of Business Analytics. His research focuses on the development and application of data science methodologies in the context of credit risk analytics, covering areas such as deep learning, text analytics, image processing, and social network analysis. Professional qualifications such as ACA/ACCA/CIMA qualifications can compensate for unrelated degree subject. Work experience in finance is not a requirement but can compensate for unrelated degree subject/grades. All Core and Compulsory modules must be taken. All Option modules are offered subject to availability and timetabling constraints. You’ll be able to increase your professional networks further by taking advantage of an annual analytics recruitment fair run by CORMSIS, which attracts a wide range of employers. You’ll graduate with knowledge and skills that are sought after in a wide variety of financial, business and government organisations. Graduates have gone on to work for organisations such as the Bank of England, Home Credit China and the NHS. The course is delivered through lectures, seminars, hands-on computer exercises, group work and private study. Our academics use a range of methods to help you explore topics in more depth and apply your knowledge, including modelling exercises with real-world data, case studies and numerical problems. Assessment methods vary but may include exams, individual coursework and group work. You’ll have the opportunity to gain hands-on experience of analytics, modelling, coding and programming software, giving you essential professional skills. Programmes used on the course include Excel, Python, SIMUL8 and SPSS. You will also learn to use SAS, a leading data analytics programme, which will help you to prepare for the SAS base programmer certification. We offer an intellectually challenging learning environment with plenty of support to ensure you achieve your full potential. You’ll have lots of opportunities to talk with your tutors and each student is allocated a personal academic tutor who can advise on course-related matters and direct you towards any other types of support you might need. Dedicated industry liaison officers are available to answer any queries about the external summer projects.